ACTUAL TESTIMONIES FROM ESSENTIAL OIL USERS! I have suffered with eczema at many times in my life. Any one who knows what it is like to suffer with this, would tell you that they would give their eye teeth for a cure to this condition. It is very painful, very irritating and it can itch beyond belief, making for an even more grotesque condition! Eczema sites on your body can be very embarrassing to say the least, depending on where they are located. Eczema sites can also bring about a more menacing condition. Eczema sites are open sores that never seem to heal properly, so that it is an open invitation for any bacteria to enter in. 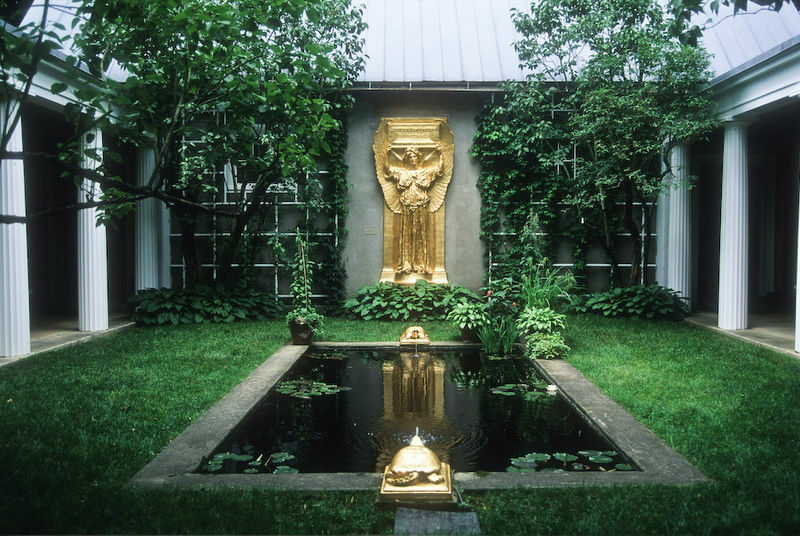 Come any microbe... any bacteria... any parasite... any type of foreign matter can enter through this portal! Not good! I am thinking at this point that it was either a spider bite on my foot or this eczema site that allowed me to contact "Cellulitis"... a condition that you can very well die from. Cellulitis is a bacteria that gets into your system, starts traveling from the entry site and reeks havoc by causing an infection where ever it travels. It absolutely needs to be treated immediately because if the infection enters your bloodstream via the lymph nodes it can cause things as severe as cardiac problems and even death! I have purplish brown scars on my leg that remind me every day of it's horrible aftermath and I can't say I ever want a case of it again!! Because of this I decided to launch a full blown investigation on what I could do to get rid of this ridicules condition! What I ultimately learned from this journey is that "it is not as simple as that!" I don't know at this point if there is an actual "cure" for eczema, but I will share with you what I have learned thus far. For years I have been going to the doctor getting expensive tubes of pharmaceutical ointments to put on this eczema. I think I have tried everything the doctor has had in mind to give me. I had even finished off the whole tubes of this stuff. The only thing this medication did for me was to slightly "arrest" this condition somewhat and then the whole pathetic cycle would start over again. The ointments would lessen the itch, lessen the redness, lessen the scaly patches until you actually thought you were getting somewhere... and then boom! It would itch so bad you could not... not itch it! You itch it, it opens the eczema even more... now the scabs come some more and it itches even more. Now you start all over again. Now... what I did manage to learn about this condition is that it didn't start on the outside of my body. Apparently, this has something to do with an acidic condition in your body to begin with. How do you get an acidic body in the first place? An acidic body comes from a multitude of things, but I learned the "biggies" are eating too many acidic foods and the other is all the toxins you take into your body just by living in this environment! Once you start reading about acidic conditions in your body you will realize that most conditions or diseases can only survive in acidic conditions in your body. Diseases and conditions can't really exist in an alkaline environment in your body. The same holds true of our very environment... look at all the forests that are dying out from "acid rain" and all the farmer's soil that is withering out because of acid soil. Oak trees and pine trees will kill the grass in your yard because the root systems put out acid into the soil, thus killing what is trying to live in it. Does this make sense to you? It made sense to me. Now you have to alkalize your soil if you want the grass to grow. What does that mean? That means that somehow you have to change the climate of your body to a more alkaline condition. How do you do this? By detoxing your body and then eating a lot more alkalizing foods! I am beginning that journey now. I have an awesome book you can read on this if you would like to check it out. 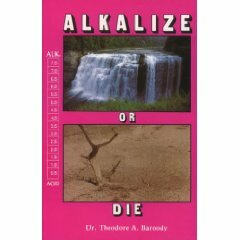 It is called "Alkalize or Die" and you can get it from Amazon.com. This is only the first step in getting rid of the eczema. I will show you the book and then I will tell you what has worked wonders for the eczema on me. This book is called "Alkalize or Die" by Dr. Theodore A. Broody. It is an outstanding book if you want to learn how to keep cancer and all other diseases at bay! After you read this book it will make perfect sense to you how all diseases develop in the first place. NOW THIS IS AMAZING!!! ... 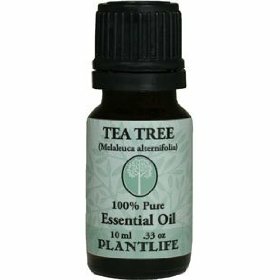 ENTER THE TEA TREE OIL! AND THE PINE TAR SOAP!! I am going to give this to you straight up! Thinking about all of the money I have spent on prescriptions in past... this is actually ridicules! The cost of the tea tree oil on Amazon.com was a whopping $3.99! In three days of applying this neat to my eczema site... about three times a day... the eczema is all dried up and is almost all gone! Now I have not even tried the pine tar soap yet because I wanted to see which one if any, really did the job. 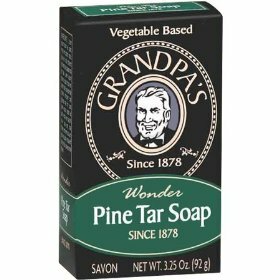 The pine tar soap was a lousy $4.00 and the bar of soap will probably last forever! I also got this from Amazon.com. Please do not think that I am promoting Amazon.com... they should be giving me money for this... it's just that I happen to order a lot of stuff from them. You can get this from any place you want to get it from. I am going to continue to use the tea tree oil for the next few days to see what happens with out using the pine tar soap yet. I will update you as I go along. I also wanted to say that the "disparate itching" that comes with the eczema has actually really subsided and that is a miracle in and of it's self! I will be back to update you a little later! Be looking for the results. I hope that I can help someone else out there. So far, to me, this is living proof that we don't need pharmaceutical drugs for everything! I can say with total confidence that I have taken the oils internally for many years. I have been able to "combat" the 2007 flu/cold/epidemic that was keeping many people at bay for 3-6 weeks - in just a few days! It is very important to take the oils internally (5-10 drops each) for a full 3-10 days, similar to the usual antibiotic that most people choose to ingest. Take 4-5 times daily; should have something light to eat prior. Some people have had indigestion when the oils began to break down. The following are unsolicited testimonials and stories of how users of Young Living Essential Oils have healed themselves and others. They were sent to me by Julie Chertow, who is my up line distributor for Young Living. As I receive more testimonials I'll be adding them, so you may want to bookmark this page and revisit it from time to time. New Article: What Are Sesquiterpenes? Read this article and discover the dangers of buying and using essential oils over the counter. Disclaimer: This is not intended to replace medical care by your doctor.